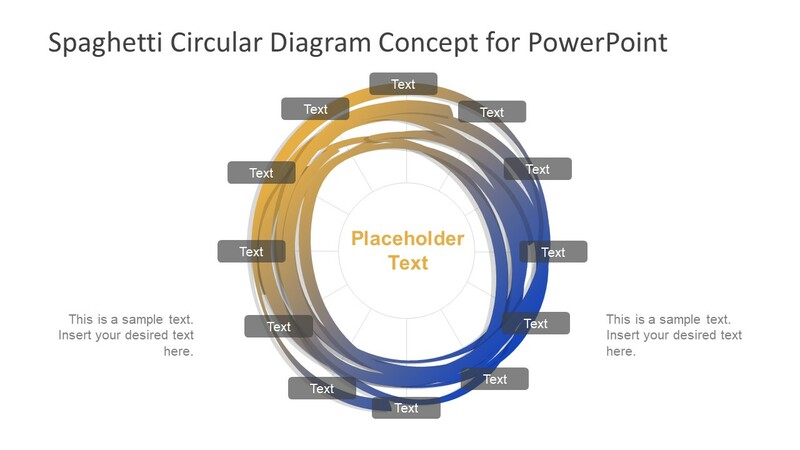 The Spaghetti Circular Diagram Concept for PowerPoint is a presentation of the gradient design model. It is a circular loop style shape for several concepts. For example, the presentations ranging from product quality control or risk management system of a company. The gradient circular diagram template is a generic design of 12 segments. It is a quick and easy way diagram to demonstrate more than 5 or 6 components. And, it is an interesting 12 steps wall clock design format. 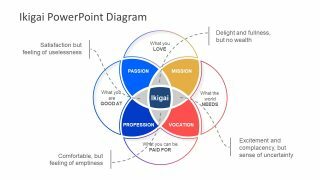 The users can explain time-related presentation with an effective business concept diagram PowerPoint. The slide image looks like a plate of spaghetti; however, the color gradient assists in creating a professional view. The Spaghetti Circular Diagram Concept for PowerPoint is a two slides template with assorting backgrounds. 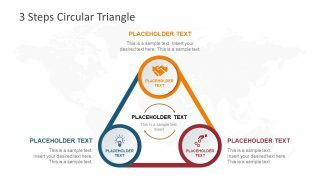 The center of the diagram contains a text placeholder to highlight the presentation topic. Whereas, the outer circle has 12 segments under the round diagram of spaghetti concept. Further, each segment has a translucent text bar to describe its elements. 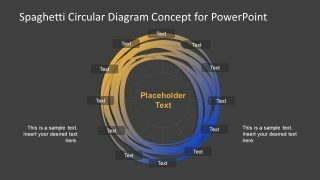 The spaghetti concept circle template for PowerPoint is a collection of two designs. The 12 steps circular process cycle and spaghetti style gradient layout on top. 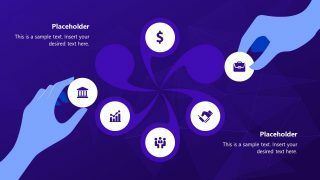 Therefore, the users can make changes to the design at the basic level. For example, changing the number of steps or using the two figures separately for different purposes. 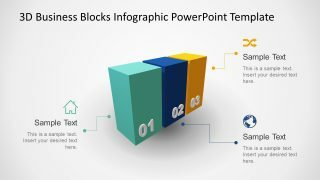 Apart from this, the users make regular PowerPoint modifications like the colors, effects, text options. The Concept diagram of spaghetti circular PowerPoint is a process cycle template of business presentations. The companies often use different diagram designs to demonstrate their business model and ideas. This spaghetti circular diagram flow can be a unique and modern design to present those concepts. The spaghetti diagram is also known as point-to-point workflow diagram. The 12 segments diagram can illustrate the time base continuous flow of an entity like a product or a process.